Check out our essential hair hacks every girl should know to tame her tresses and look flawless! From a blowout to what products work best- we have a solution for every hair problem! Copy your stylist! The first thing they do before your blowout is to section your hair. Keep curls full and bouncy with professional hair care & styling products. Turn up the volume by turning down the heat. Sleep in luxury and save your strands! Use velcro rollers to lock in smoothness and volume. Create waves with braids. No heat = No damage! 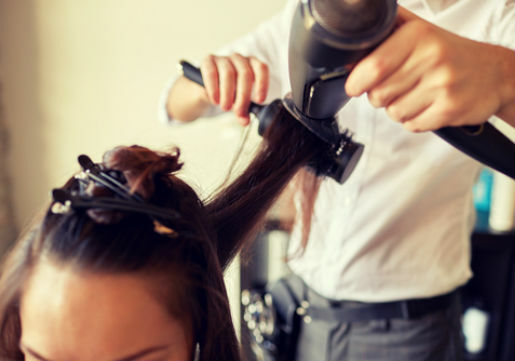 DIY Blowout- The trick to a fly-away free blowout is to section your hair prior to blow drying. This ensures that every piece is smooth and you'll also save time and cut back on heat exposure because you won't be going over the same areas again and again. Buy a few alligator hair clips (they look like duck bills with teeth) and section damp hair into four quadrants. Part it in the middle, then split each side in half horizontally; clip up the top sections. Now you're ready to dry! Start with the bottom layers and work in one inch sections. Blow dry with a round brush and work your way from the bottom up. 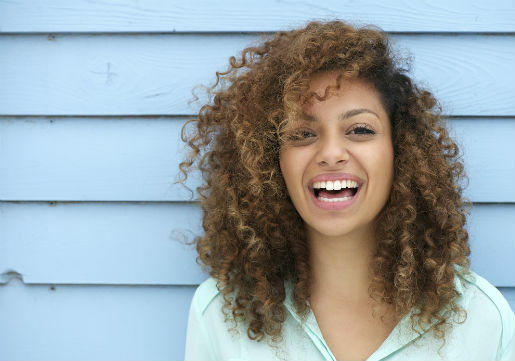 Keep curls nice and bouncy- To avoid your curls looking flat on top of your head, start this hair hack in the shower with a curl friendly hair care duo. We love Redken Curvaceous Shampoo & Conditioner. When you do your final rinse in the shower, flip your head upside down to help encourage volume at the roots. Once out of the shower, flip your hair upside down again and wrap in a t-shirt or cotton kitchen towel. Wait 5-10 minutes, then remove towel and flip hair upside down again. Add a few drops of lightweight glossing cream, like Cibu Shimmer Smoothing Cream, throughout hair to prevent frizz and define coils. Finish with an air dry or blow dry with a diffuser for lush and springy curls! For better volume, turn down the heat- Using high heat on fine hair can actually flatten it, so switch to the low-heat setting on your dryer. Boost volume with It's a 10 Miracle Blowdry Volumizer applied at the roots prior to your blow dry and flip head upside down to get extra lift at the roots. Sleep on silk to reduce breakage- Textured hair is already prone to breakage and split ends. Putting hair against a cotton pillowcase can cause friction that makes the delicate strands even more vulnerable. Protect strands by sleeping on a silk or stain pillowcase. You can also tie it up in a silk scarf or bonnet. You'll notice hair is less dry and frayed. 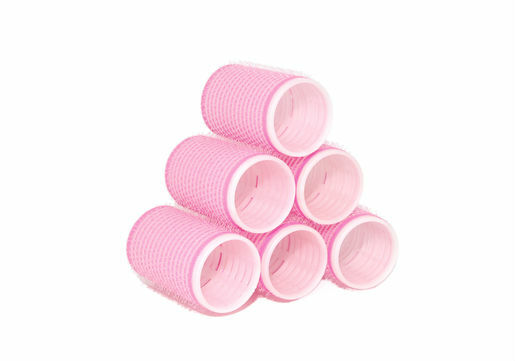 Use rollers to lock in fullness- Keep volume from your freshly blown out hair but adding in some velcro rollers. Start by sectioning off a four inch wide chunk of hair from your hairline to the crown (top of head). Pick large rollers for volume and wrap about 4-5 rollers in a row and secure with a clip. Hit the rollers with your blow dryer for about 30 seconds then give your hair about 5-10 minutes to cool. This extra step sets volume that lasts and lasts. Create waves with out any heat- You don't need a curling iron, even on straight hair with this hack! Start with an air dry friendly product- we recommend NEW Redken No Blow Dry creams! They have three formulas based on hair type- Airy Cream for fine hair, Just Right Cream for medium hair and Bossy Cream for wild/unruly hair. Work a dollop of styling cream throughout damp hair then part it in the center. Make a tight braid on each side or for very long or thick hair, make two braids on each side. Sleep with the braids in or just let them air dry all day. Take out the braids and finger-comb for soft, lovely waves. Stay tuned for more hair tips and tricks from Hair Cuttery and be sure to follow us daily on Facebook, Instagram and Pinterest. Keep your hair in healthy shape by getting regular trims and stock up on all the best hair care products your hair deserves! Happy styling from your friends at HC!